Bloom's Taxonomy can be applied as a framework to new media and participatory cultures. 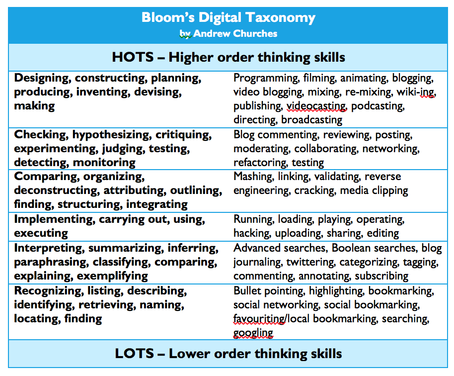 To develop an understanding of the importance of Bloom's taxonomy for digital storytelling and media/digital literacies, let's revisit Bloom's Digital Taxonomy. ​As introduced in the FALL (week two), Bloom's taxonomy provides a framework of skills and entry points for our investigations into Digital Storytelling and social media. Let's review some frameworks for digital literacy and make connections to what we are thinking about 'new media'. Building our understanding can help when these are applied to classroom contexts. 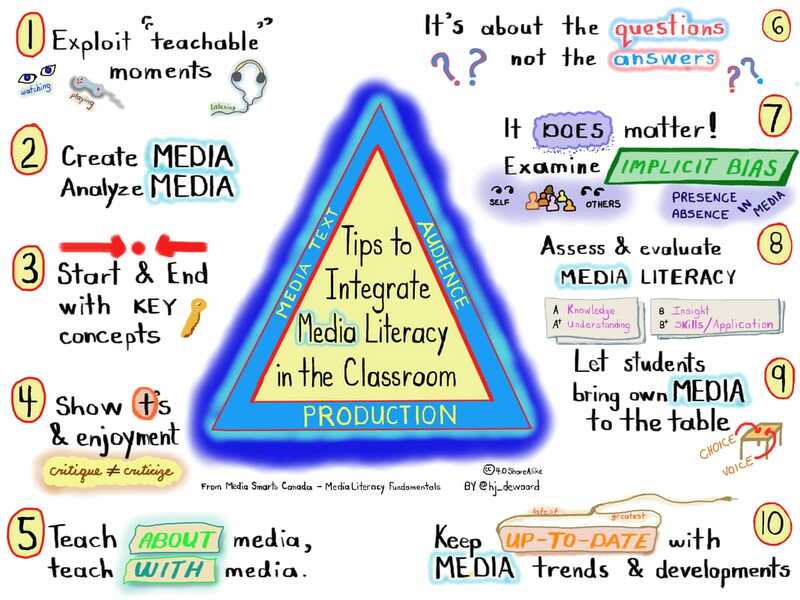 Silvia Rosenthal Tolisano has explored Documenting Learning and Media & Visual Literacy as well as Digital Citizenship and Documenting Learning. We'll take a closer look at these questions, insights and issues as they apply to teaching and learning with digital technologies. Record and be prepared to share your connecttions to classroom issues, practices, and opportunities. 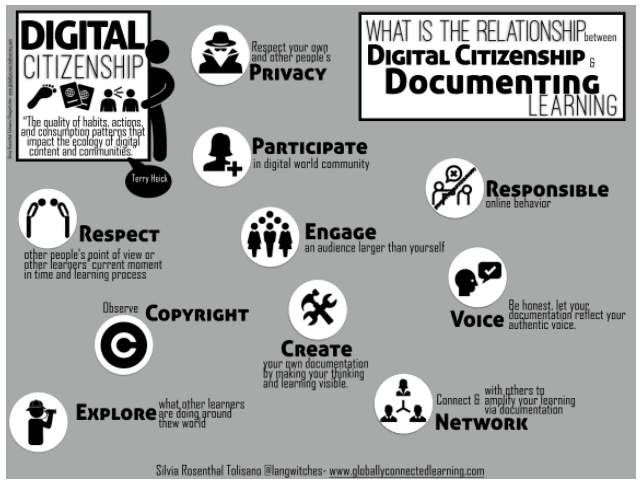 By documenting your learning with media and digital literacies, both your own and your students, you can learn about digital citizenship. Peter Cameron's blog post about Creating Video. Julie Balen's #OneWordONT - building community with one word. Sarah Lalonde's podcast Que Sera Sarah? How could you build connections to these three possible mechanisms for MAKING MEDIA? Facing your Twitter fears - develop your digital persona. Continue to explore Twitter to make it meaningful and to make media matter. Learn more about Twitter by tinkering and exploring. Followup with some timely tips in A Guide to Getting the Most out of Twitter for Teacher Candidates & New Teachers written by Dr. Camille Rutherford. Learn more about hashtags used in education from The 2012 A-Z list of Educational Twitter Hashtags. TEACH ONTARIO - Connecting to a community of practice in Ontario is as easy as linking to Teach Ontario, by TVO. If you haven't started yet, today's a good chance to explore. This group space is a collection of ideas and links about digital storytelling. Teaching opens up a wider range of possibilities. This interview with Jerome Bruner, just before he reaches the age of 99, highlights insights on teaching and education, particularly as new media is applied. Teaching and educating is about going beyond the information given - leading into the future. We teach in a way that leads to opening the world. Schools are in the business of going beyond, opening the possibilities. Why should you connect and network with other educators using social media? What new social media will you try? NEXT STEPS: Begin exploring social media and digital storytelling tools.